Children of all ages are invited to bring their teddy bear or other plush friend to a special Teddy Bear Clinic to get a checkup at the zoo. 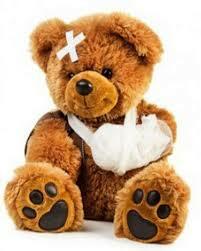 Our "vets" will give your stuffed animal a full examination and offer first aid if necessary. Treat your child to a temporary tattoo and your plush animal to a fun accessory on this special visit.